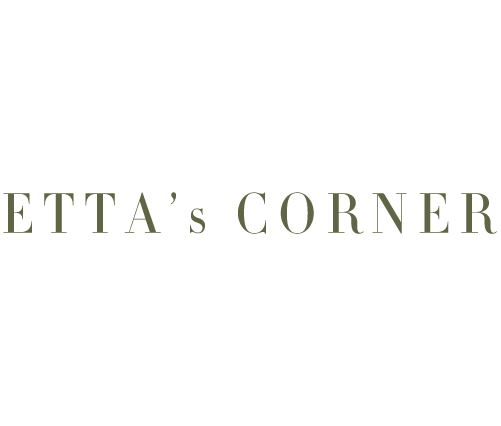 Etta's Corner: FOOD BATTLES: HOMEMADE vs SHOP BOUGHT CHIPS? 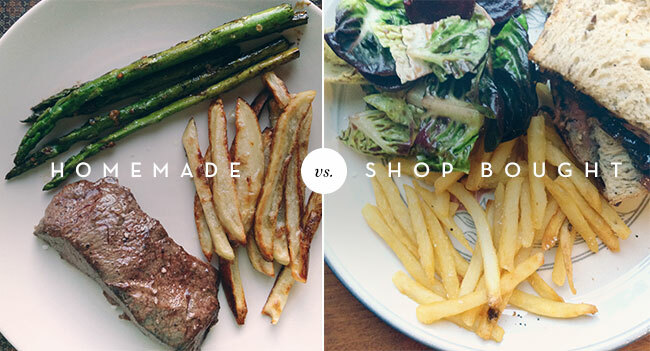 FOOD BATTLES: HOMEMADE vs SHOP BOUGHT CHIPS? Right, so, I really love chips... a lot (yep McDonald's ones, too)! If I ever have the choice between mashed, boiled or sauteed potatoes and a portion of chips, it will always be chips. There is a big bag of frozen chips in our freezer, at all times. It's my emergency go to food... you know, it's always easy to rustle up a steak and chips dinner (mmmmmm!!!!) Oh and I'm a skinny fry kinda girl. And then health conscious me comes along and it's guilt vs taste buds. So I asked myself more recently, what about making my own oven roast french fries? Surely they can't taste as good as the lovely frozen ones?! And they must take much, much longer! What better way to find out than to test it. To serve 2 you'll need one large spud (or sweet potato). If you want skin on chips, just give it a thorough scrub, if not get the peeler out. Pre-heat the oven to 225˚C. Leave the baking tray in the oven. Half the potato and then cut, lengthways, into 1/2cm slices and then into 1/2cm wide batons (basically into equally sized fries). Toss the fries with 1tbsp olive or rapeseed oil, season with plenty of sea salt and add any other herbs you want, such as rosemary or thyme etc. Place onto a the baking tray, making sure the fries don't touch. Bake for 15-20 minutes, turning the fries half way, until crispy and brown on the outside and soft in the middle. Serve! Note: If you're using sweet potatoes, these will be done in 10-15 minutes. Place frozen fries on baking tray. Bake for 25-30 minutes, turning half way. Both options are equally "not" time-consuming. Homemade fries are delicious, you know what went into them and if you can handle the fact that they haven't got the super crunchy, slightly rough outer shell of a frozen fry... make your own. They are just as delicious alongside a juicy burger or a big slab of steak, smothered in copious amounts of ketchup, as the old McCain. Do you make your own fries? Tell me about it! I just stumbled across your blog while researching chips for my work and I've instantly fallen in love with! Your photography is gorgeous and can't wait to try some of your recipes! I love making my own "frites" (that's how they're called in France!). I usually make some when we cook mussels... Yum!